Mac OS X El Capitan (version 10.11) is the 12th OS X release for laptops, desktops, and server Macintosh computers. Coming next after OS X Yosemite, it’s oriented on security, performance, and stability. 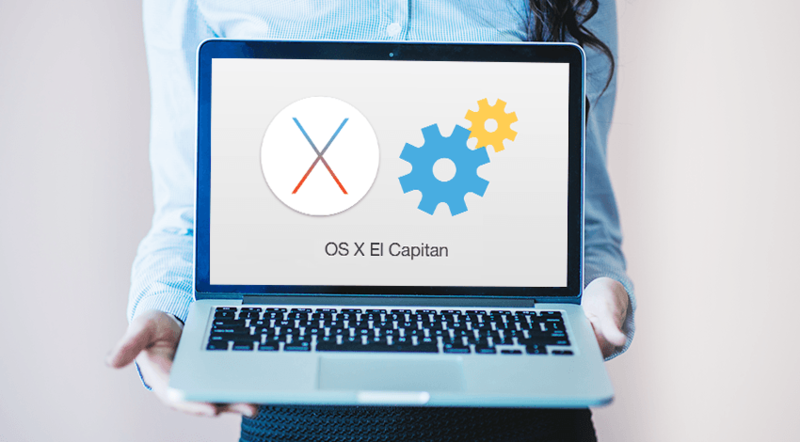 If you wish to upgrade to El Capitan, the best way is to install it from scratch and migrate the user accounts and data. However, if you choose to upgrade on top of the current OS version, you may discover that your operating system has become slower. This may happen due to bringing the previous settings and files over. El Capitan requires more disk space and RAM to ensure proper performance. Luckily, it is possible to optimize OS X 10.11 El Capitan and remove the factors hindering the system performance. Why is Mac OS X El Capitan Running Slow? Being short on free disk space is a serious issue. The first thing most Mac users come up with is uninstalling a few cumbersome apps, getting rid of old movies or music albums. Some go even further and remove the unneeded language packs. The bad news is, manual cleaning is only a temporary way out. There is an option to use standard Mac OS optimization utilities. However, there may be residual app data you still have to remove down the road. 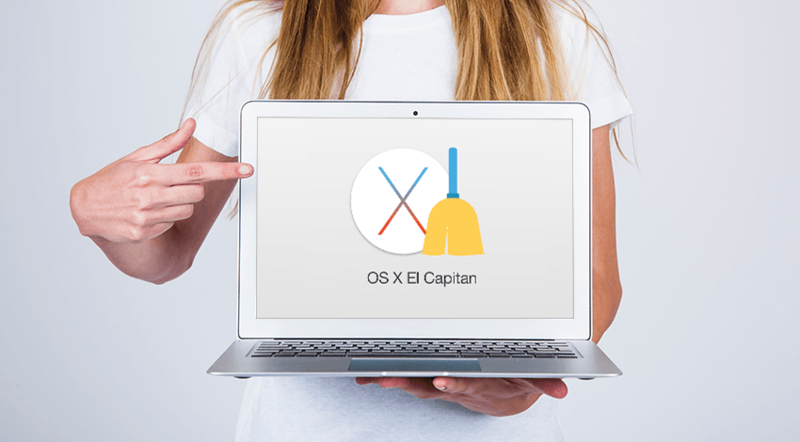 To reclaim diсk space and optimize El Capitan with maximum effect, choose comprehensive cleaning tools. So, how can you make your El Capitan-operated Mac work faster? Take a look at the top ways to boost your OS X 10.11. If a dozen of applications starts loading once you turn your Mac on, check your login items. Most likely, you don’t need the majority of apps launching on startup. This may be causing slow bootup of your Mac OS El Capitan. Go to System Preferences -> select ‘Users & Groups’. The next step is to choose your username and deselect the unneeded applications. You can always go back and restore the previous settings if needed. Make sure you have all the important user data backed up before you start freeing up the disk space. Mac users are strongly recommended to make regular backups to prevent severe data loss. Go to Applications/Utilities folder -> start Disk Utility. Always leave a minimum of 10% of disk space unoccupied to ensure RAM-intensive applications have enough space to store temporary files. Also, it is possible to analyze the disk space using free or paid third-party applications. Go to Finder -> click ‘All My Files’ in the sidebar menu on the left. In case, it doesn’t display, hit ‘Command+Shift+F’ (⌘+⇧+F). Click ‘View’ in the top menu bar -> choose ‘Show View Options’. Arrange all files by selecting ‘Size’ to display them from the largest to the smallest. Another way to go is to purge the outdated files or the files you haven’t used in a while. To do that, change the file arrangement by selecting ‘Date Last Opened’. El Capitan has plenty of corners to conceal “space-eating” data. Enter the Downloads folder and hold the ‘Command + I’ key combination to display the information about the available space. Identify the downloaded files you don’t need anymore and send them to Trash immediately. Have you checked the Trash yet? Before you empty the Trash, make sure it doesn’t contain any files you might want to restore. For this, take a tour around the Trash folder and manually restore specific data, if needed. In case there’s nothing to recover, use a ‘Command + Shift + Option + Delete’ key combination. Or you can right-click the Trash icon and choose ‘Empty Trash’ to permanently delete the files. El Capitan requires significant RAM to function properly. As a rule, Macs are apt at memory management. However, checking the applications that run in the background is necessary to control memory usage. Launch ‘Activity Monitor’ (you can find it with Spotlight) and click the ‘Memory’ tab. Launch ‘Terminal’ and type in sudo purge command. Wait until the command is processed and the system returns the prompt. Is it Worth Using El Capitan Cache Cleaner? Cache is a location on your Mac’s hard disk where your operating system, applications, and browsers keep files they might need for work. The large cache files can eat up a lot of disk space and reduce OS X performance. Why is cleaning cache so important? First of all, it helps to reclaim a considerable amount of disk space. In case your Mac computer works slowly, freezes up or gives “Your startup disk is almost full” alert, it’s time to purge system cache. Enter Finder -> choose ‘Go to Folder’ in the ‘Go’ menu on top of the screen. Type in ‘~/Library/Caches/’ to access ‘Caches’ folder. Make sure to purge only the contents of these folders, but don’t remove folders themselves. Repeat these steps, but type in ‘/Library/Caches/’ omitting the ~ symbol. There’s also an option to seek for specific caches for targeted removal. For instance, to purge Safari browser cache, delete “Cache.db” in the folder “com.apple.safari.” This way, you can remove caches and temporary files for a particular user account. Some system-level applications may also create temporary files, most of which shouldn’t be manually deleted. Manual cache cleaning on Mac has its drawbacks. First of all, it’s hard to define how much space is taken up by specific folders in Caches. Secondly, deleting some of these files unknowingly may cause a system crash. Plus, the process itself is time-consuming, so it could use some automation. System testing, customization, and optimization capabilities. Using trusted third-party maintenance utilities is effective, safe, and fast. These apps require minimum involvement, prevent users from deleting important system data and ensure anti-malware protection. Remember to download the third-party apps only from trusted providers to avoid malware and fraudulent software. Timely servicing Mac OSX El Capitan will help your Apple computer will run smoothly. Clearing cache is important to prevent logs, unneeded language files, and system trash from piling up. It is possible to conduct all cleaning procedures manually. Alternatively, Mac users can resort to third-party apps targeting specific areas to make cache cleaning fast and efficient.